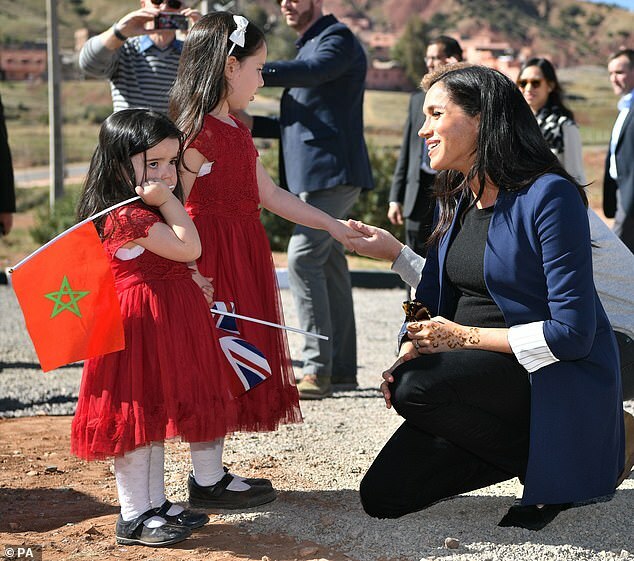 The British Ambassador to Morocco praised the Duchess of Sussex‘s ‘boundless’ energy following the whirlwind royal tour over the weekend. Diplomat Thomas Reilly, who joined the royal couple on their engagements, said it was clear Harry and Meghan ‘cared so deeply’ about everyone they encountered during the three-day visit. 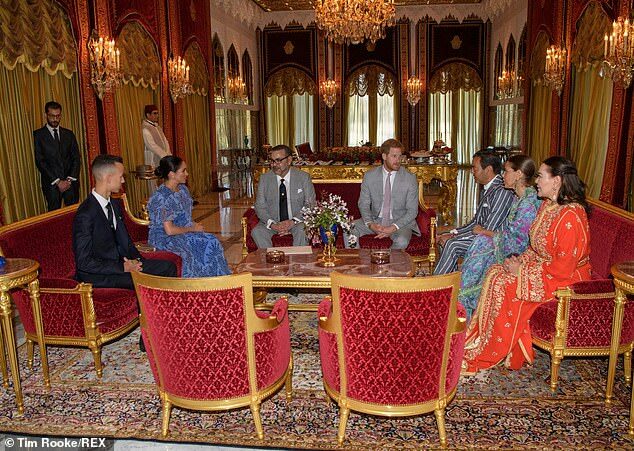 He noted the personal touch was a far cry from the ‘pomp and pageantry’ that typically accompanies royal tours, such as the one carried out by King Felipe and Queen Letizia of Spain just days earlier. 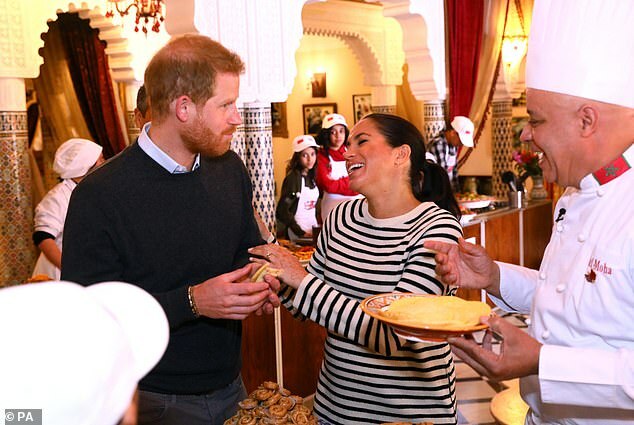 The British royals packed in nine separate engagements over three days, taking in a helicopter ride to the Atlas Mountains, a visit to an equine centre in Rabat, as well as an audience with King Mohammed VI of Morocco. 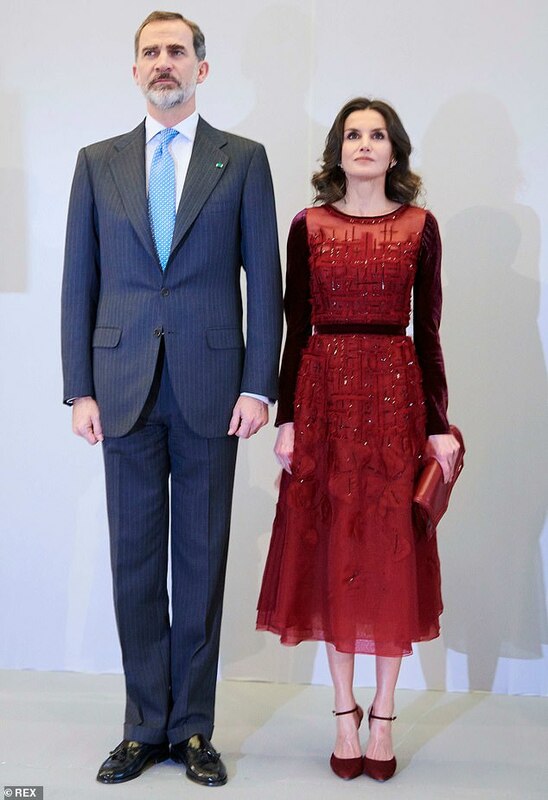 While, like Harry and Meghan, King Felipe and Queen Letizia met with schoolchildren during their visit, there was not the same easy-going atmosphere captured on camera. 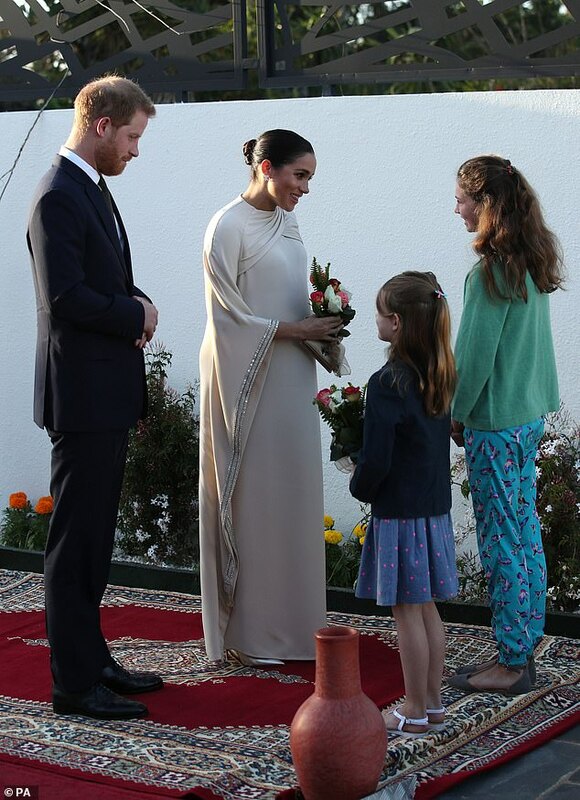 Mr Reilly, who hosted the Duke and Duchess of Sussex for a reception on Sunday night, said he was impressed by how Meghan throws herself into all of her duties. ‘Here’s a woman jumping into a helicopter to fly 1,400 meters [almost 4,600 feet] high, still smiling and ready to do it all, ready to push the issues that matter,’ he continued. The Duke and Duchess of Sussex have now returned to London. While Meghan, who is thought to be due in April, will make more public appearances before taking her maternity leave, it is understood none will be overseas. The couple will join the Duke and Duchess of Cambridge for an event on Tuesday marking the 50th anniversary of the Prince of Wales’ investiture.